A live performance at SXSW, the international conglomerate of technology and music festivals held annually in Austin, Texas. 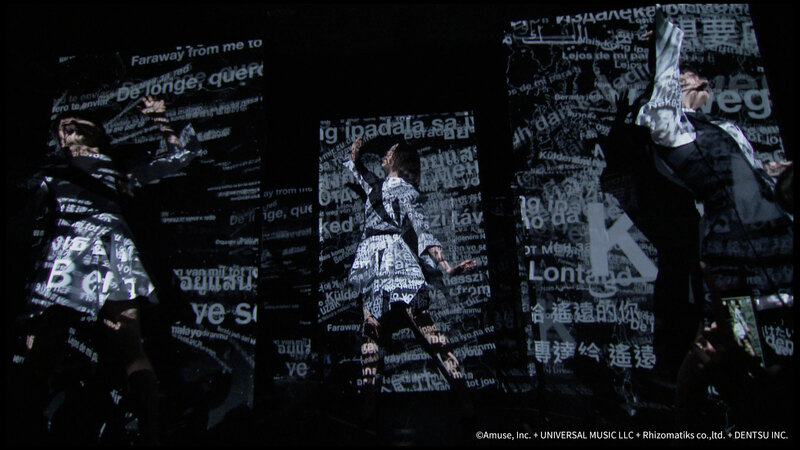 Streamed live on YouTube, this performance incorporated AR and video synthesis to create a seamless blend between reality and the virtual world. 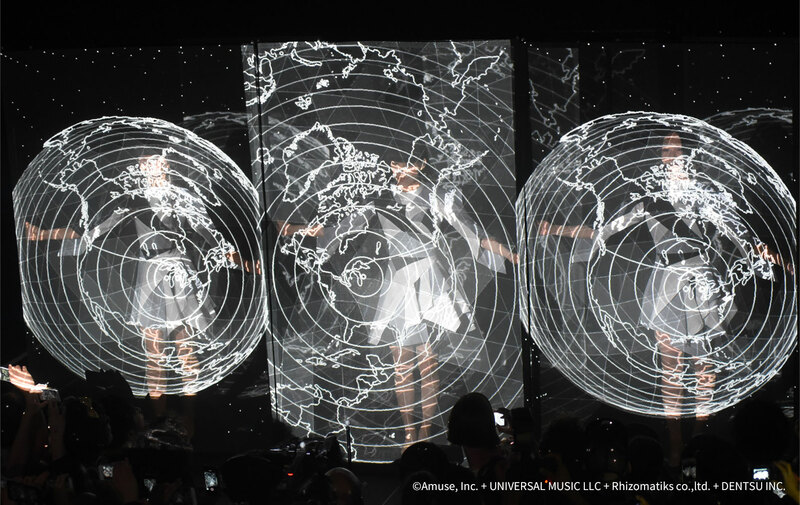 Spectators were transported between both worlds through a complex combination of 3D scanning, motion tracking, projections, and video morphing (a shape-shifting video effect in which one object transforms into another). 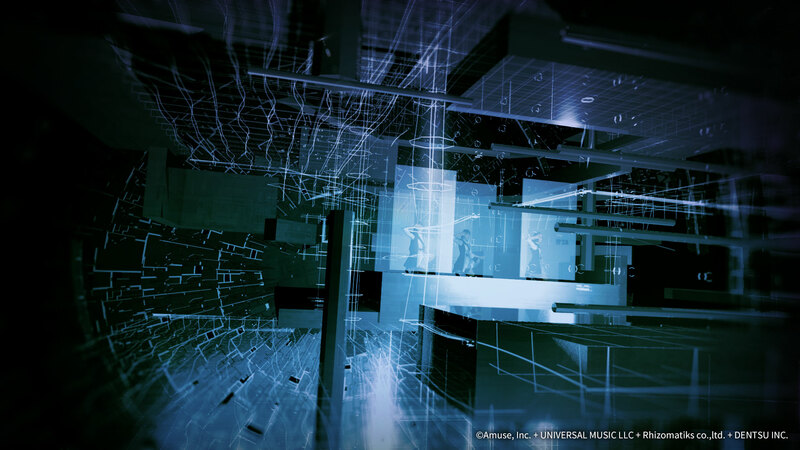 Both the venue itself as well as Perfume’s dancing were scanned in advance. The ambitious performance pioneered a new, experimental AR system. Semi-transparent video imagery was projected onto a half screen, in addition to seamless transitions between CG imagery and real-time camera video.